Juke joints, gin mills, roadhouses, dives---call them what you will, these disreputable and often dangerous establishments are the bedrock of American popular music. Tomorrow's rock stars often start out in juke joints. In fact, rock-and-roll was born in them. Living in New York, one tends to forget that such places exist. Musicians who perform in New York nightclubs tend to perform with one eye on their audience and the other on a favorable review or a recording contract — lucky breaks that only an urban media center can bestow. Here in Arkansas, the writer's home state, musicians are still playing in juke joints for an audience composed primarily of their friends and neighbors. Sometimes these friends and neighbors start feeling fractious and go after each other with knives and broken bottles; sometimes juke-joint audiences are better behaved. Sometimes the music is a dull rehash of the latest top-40 hits. Sometimes it's sheer magic. America’s popular music is a spotted mongrel with an in-credibly tangled pedigree, and juke joints encourage mongrelization. Back in the early fifties, white country-and-western bands in the South and Middle West found that they had to play faster, with a more pronounced beat, for younger dancers who had been listening to black music from across the tracks. At the same time, black blues musicians began amplifying their guitars and harmonicas and cranking up the volume in order to be heard over the din of a typical juke-joint Saturday night. Most of the nation's public facilities were rigidly segregated in those days, but that didn't keep white and black musicians from listening to and playing with one another in roadside juke joints and small-town taverns. And out of their fraternizing carne the mongrel music called rock-and-roll. The Whitewater Tavern, a rickety frame building on an unpaved Little Rock back street, is a typical juke joint. And last Saturday night at the Whitewater got off to a typical start, with a band of white longhairs playing loud blues-rock for an audience of rowdy young beer drinkers. But gradually musicians began drifting in, and the music changed. 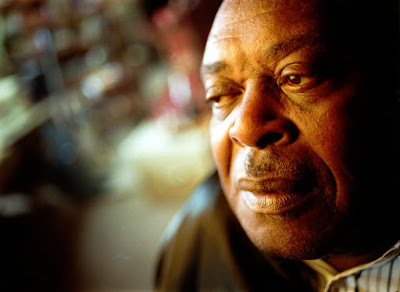 First came CeDell Davis, a black blues guitarist in his early fifties. Davis was crippled by polio early in his life and learned to play the guitar the only way he could, by picking with his right band and using his withered left hand to run a table knife up and down the strings. Over the years he has become a virtuoso with the table knife. He uses the edge of the blade when he wants one kind of sound and the flat of the blade when he wants another. The scraping of the knife along the strings of his bright yellow electric guitar makes a kind of metallic gnashing sound that conspires with his patched-together guitar amplifier and his utterly original playing technique to produce some of the grittiest music imaginable. Davis has never played the white college and folk-festival circuit. 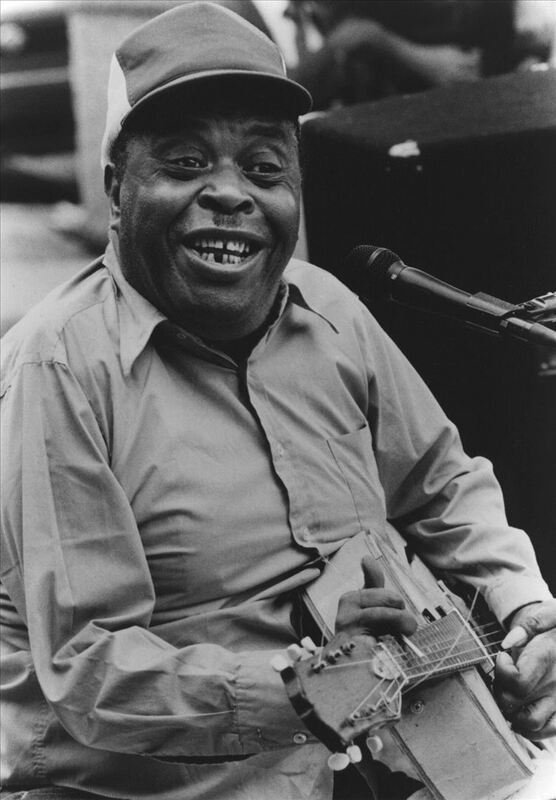 He works the juke joints in Arkansas and Mississippi, performing almost exclusively for black audiences. But the white musicians who were playing at the Whitewater had backed him before, and his idiosyncratic playing fitted into their souped-up blues rock with no trouble at all. Soon Gary Gazzaway, an animated young trumpet player, joined the group. Gazzaway has recorded and toured with Flora Purim, Milton Nascimento and other leading lights of Brazilian pop, but when he isn't on the road he lives in his hometown, Pocahontas, Arkansas. Gazzaway's playing is a mixture of modern jazz, Brazilian influences and strange huffing and bellowing sounds that remind some listeners of mating elephants. This writer, who had played the clarinet with CeDell Davis a year earlier in a Mississippi juke joint, managed to squeeze onto the Whitewater's makeshift stage, along with an unidentified trombonist. The writer's sister Dorothy got up to sing, and so did a folk singer named Linda Lowe, who recently returned to her native Arkansas after living and performing for several years in Austin, Texas. The music was a little like one of those John Cage compositions that pile sound on top of sound and event on top of event until one cannot possibly take in the whole and has to focus on some of the parts instead. The blues-rock band was playing blues-rock. CeDell Davis was playing wild, keening blues guitar. The horns were exploring an unmapped territory somewhere between Dixieland, fifties rhythm-and-blues, and the most clamorous free-form jazz. The singers were singing old blues verses and making up new ones. And the members of the audience were either dancing in the narrow space between the bar and the pinball machine or standing on chairs and tables and screaming their lungs out. Juke joints are like that. At their best, they are still places where the most disparate musical styles get sloshed together and new mongrels are born. It’s a two-and-a-half-hour drive from Little Rock to northern Mississippi, where the juke joints tend to be rougher, and more difficult for outsiders to locate, than city joints like the Whitewater. But this writer was playing music in Arkansas juke joints when he was fifteen years-old and has never outgrown his affection for them, and when a friend who teaches folklore at a Memphis University and plays blues guitar on the side told him about a joint near Looxahoma, Mississippi, he set out for it. The joint was at the end of a dirt road, which was at the end of a gravel road, which was at the end of a local two-lane blacktop. 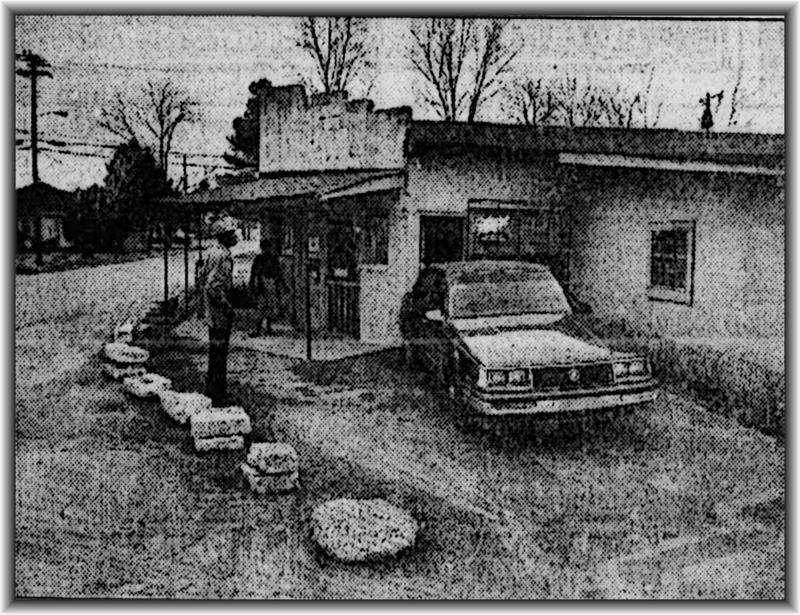 It was a square, windowless structure made of cinderblocks, with an oil drum for a stove, a woman selling barbecued goat sandwiches behind the bar and a small bandstand in one corner. The customers were all black and all ages, from preschool toddlers to the elderly. The children ran whooping in and out of the place in threes and fours, or sat quietly at the joint's long picnic tables, sipping Coca-Colas and watching their elders with undisguised interest. Behind the joint, in the glow of a Coleman lantern, a number of young, not-so-young and middle-aged men were throwing dice, and wads of dollar bills were rapidly changing hands. Jessie Mae Hemphill, a blues guitarist and singer tram Senatobia, Miss., who wears leopard-skin tights and a bejeweled black cowboy hat and is one of a small handful of women still performing droning, old-style country blues, played an engaging set, backed by a bass player and drummer from nearby Memphis. Her blues pleased the older members of the audience, who danced the slow grind and the snake hips to it, but some of the younger listeners began asking for soul music. “I can sing like Otis Redding and Wilson Pickett and all those guys,” said the drummer. "I can play all that soul stuff," said the bass player. "I think I can remember the horn parts," said the writer, who played soul music in dozens of long-for-gotten bands in the middle and late 60s. 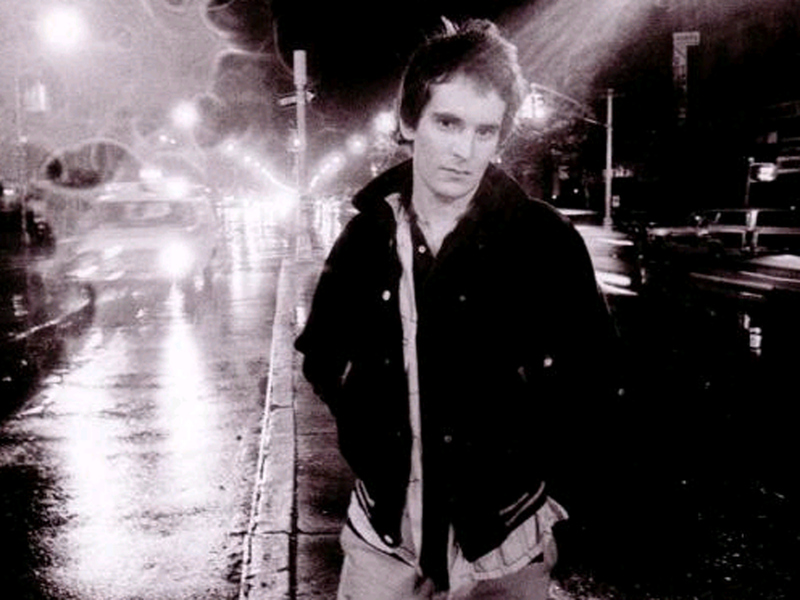 "I know the guitar parts," said Alex Chilton, a white rock musician who had driven down from Memphis. Back in the 60s, Chilton sang lead on the Box Tops' No. 1 one hit The Letter. He currently enjoys a cult following among new-wave rock fans in New York and London. He had come to Looxahoma because he is inordinately fond of juke joints. And so, from scratch, a soul band was born. The bulk of the audience, which had remained seated during the blues set, got up and danced and shouted their encouragement as soon as they heard the first unmistakable strains of the soul classic, In the Midnight Hour. The musicians, even the writer, made it through that and every other song they tried without getting lost, which was a kind of miracle. Juke joints are not always fun and games. 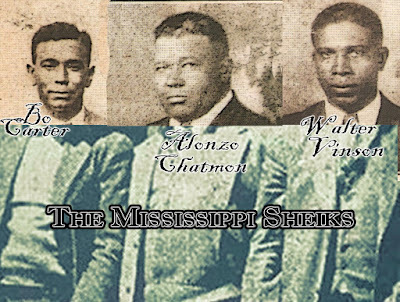 Around 1963, when the writer was 17, he was working with an otherwise all-black band in a Little Rock dive called the South Main Businessmen's Club. The "businessmen" were actually working-class whites who wore T-shirts with the sleeves rolled up, the better to reveal the tattoos on their impressive biceps. One night a bedraggled, unshaven man came in and requested a country-and-western song. "It'd sound mighty good to a man on the run," he said. The band played the song, the man left, and a few minutes later a bevy of state policemen arrived, hot on his trail. It seems he had just escaped from the county penal farm. Nobody seemed to have noticed which way he went. A few weeks later, the writer arrived at the club on an off-night looking for a friend, didn't see anyone be knew, and left. He had waited a block and a half down the street when he heard a sudden explosion of gunfire. Several of the club's patrons that night had been a gang of bank robbers, and several had been plainclothes detectives. They settled their differences by overturning the tables they were sitting at and shooting at one another, leaving two bystanders dead and several others wounded. The resulting publicity painted the club in a decidedly unfavorable light and it closed a few nights later. Juke joints are like that. They come and they go. But juke joints are important. They are the last bastions of everything that is quirky and unique about regional music and musicians. And the writer has never known a juke-joint audience to greet musical experimentation and off-the-cuff innovation with anything less than noisy enthusiasm—unless the musicians were intoxicated and/or inept, in which case they got the jeers, catcalls and flying bottles they deserved.